Efforts to enforce a Knesset dress code barring short skirts and dresses to be relaxed until a committee makes its recommendations. 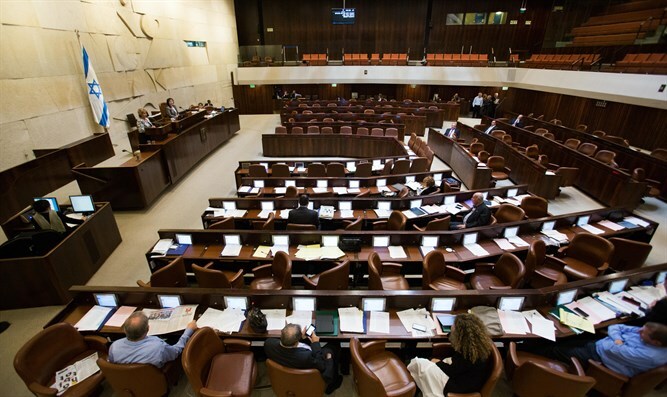 Efforts to enforce a Knesset dress code barring "short skirts and short dresses" will be relaxed until a newly formed committee makes its recommendations. Speaker Yuli Edelstein formed the panel Wednesday after parliamentary aides wore short skirts and dresses to the building to protest the code, which had barred some from entering in recent days. Edelstein met Wednesday with several lawmakers, including those whose aides had been refused entrance to the Knesset over the length of their dresses, The Times of Israel reported. The lawmakers reportedly agreed that enforcement would be relaxed until the committee makes its recommendations. The lawmakers agreed to talk to their employees and encourage them to use common sense when dressing for work, according to The Times of Israel. According to the Knesset website, “entrance to the Knesset is permitted only in appropriate attire (no tank/spaghetti tops, cropped tops, shorts or ¾ length trousers, ripped trousers, shirts with political slogans, short skirts and short dresses, flip-flops or open-back clogs).” The rules apply to those over the age of 14.